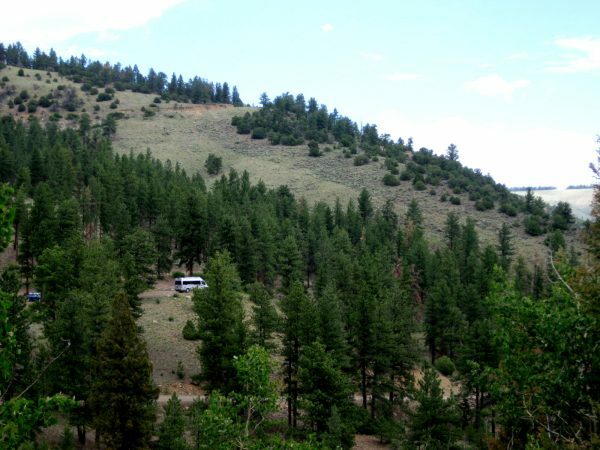 There is the Travato on a hill on Poncha Pass – it is a level spot with a great view and the MINI Cooper is sitting behind it. We walked a mile or so to O’Haver Lake which is quite pleasant. We hung out at the day use picnic tables but there is also a campground. 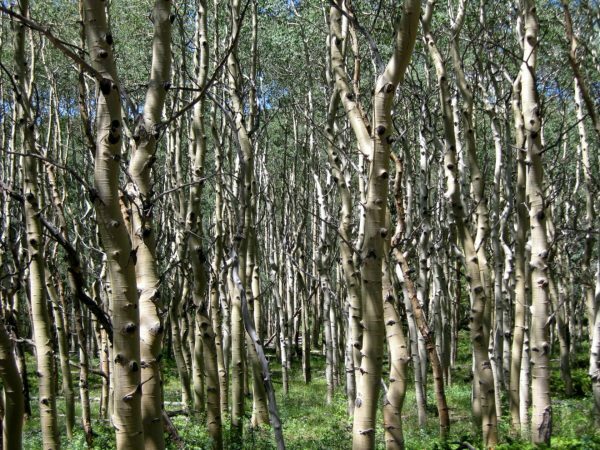 This aspen grove was quite dense and interesting. 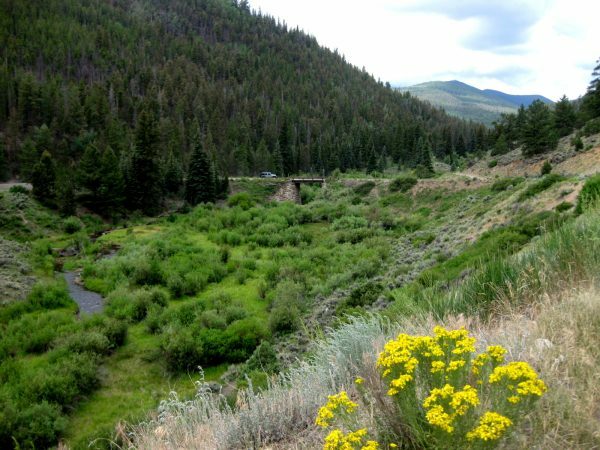 This is the stone bridge for the turnoff to Marshall Pass road – 7 miles to the pass is a bit much for us to hike with the looming storm clouds. 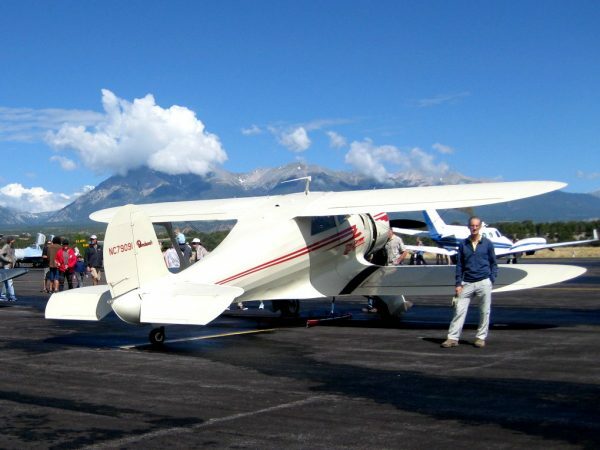 Salida Fly In – a gorgeous morning and some very fine planes. 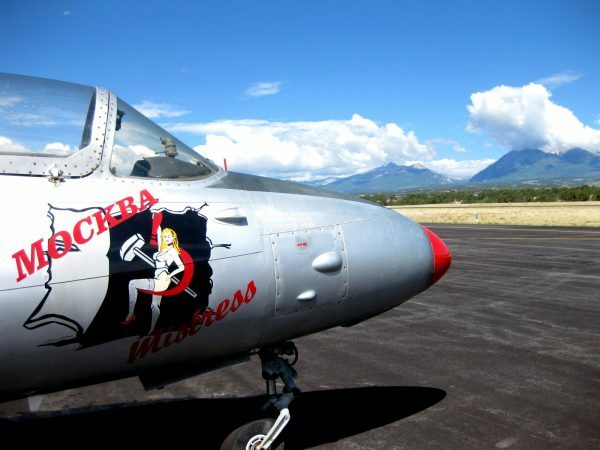 Some fun Russian nose art that we had not seen before. 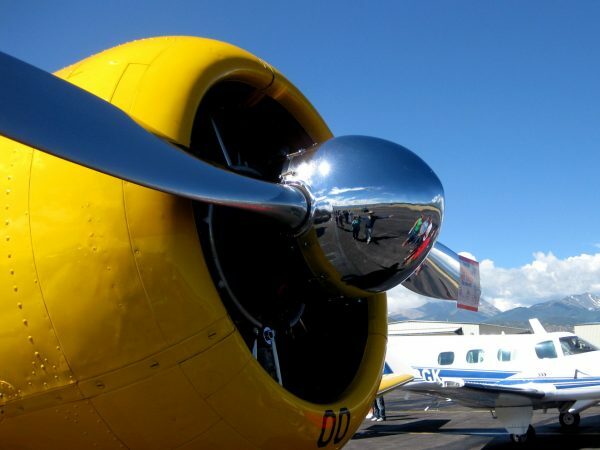 The propellor is polished to such perfection that there are reflections! 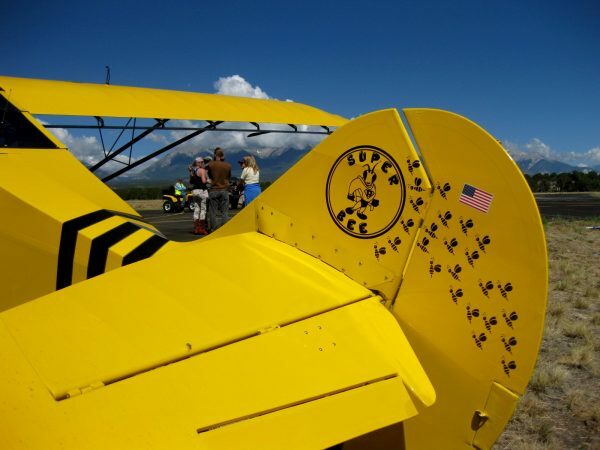 Super Bee tail art – the nose looked like a cute smiling bumblebee. 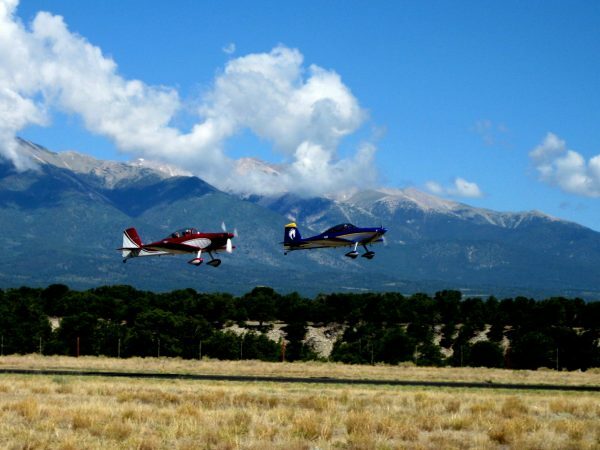 Take off – we thought they were going to fly around in formation. 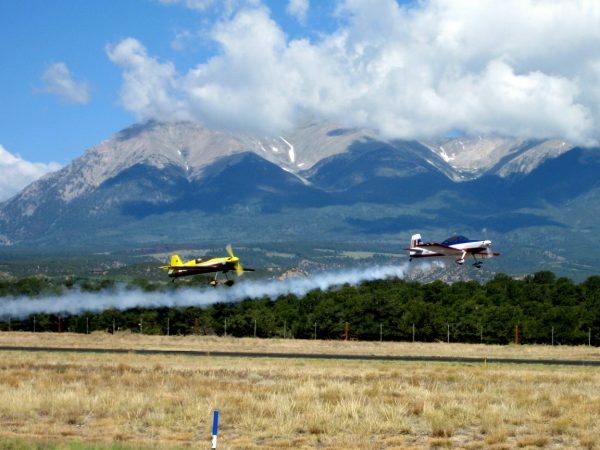 And maybe give us a bit of an airshow – but we didn’t see it. 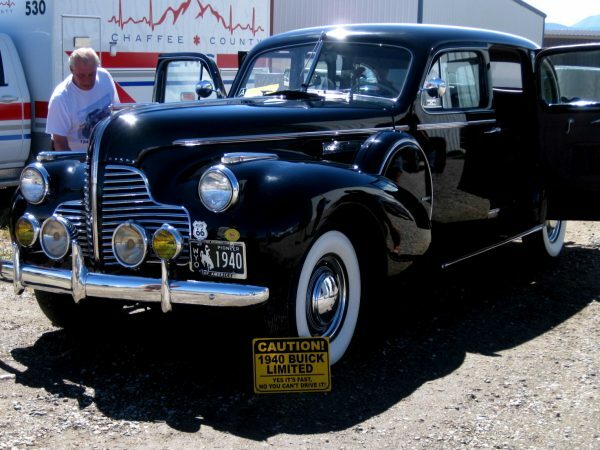 There were also some beautiful old cars – this 1940 Buick in from Wyoming. 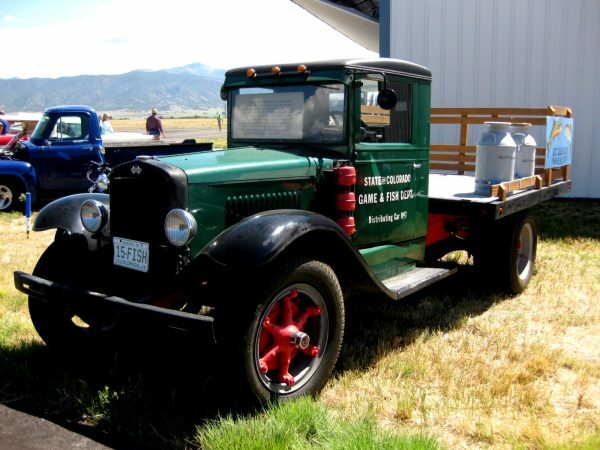 This was an original Colorado State truck that delivered the fish to stock the lakes – very nicely restored. 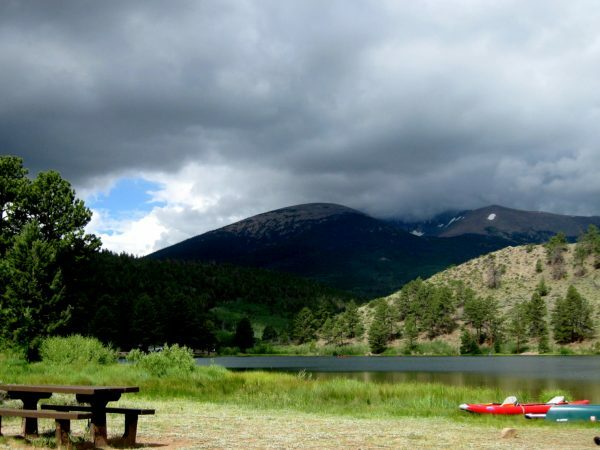 This entry was posted in Automobiles, Colorado, Hiking, National Forests, Sports. Bookmark the permalink.